For those who want a long-lasting whitening solution that really makes a huge difference, professional whitening is the only way to go. If your teeth aren’t as bright and white as you’d like them to be, it may be time to consider professional tooth whitening to rejuvenate your smile. Many people attempt to restore their natural whiteness at home, with over the counter products such as whitening toothpastes, whitening strips, gels, brush-on whiteners and other solutions. Some of these products do bring very temporary results. But for those who want a long-lasting whitening solution that really makes a huge difference, professional whitening is the only way to go. Dr. Paul Mathew of Artisan Dentistry in Salem, New Hampshire and Newburyport, Massachusetts has helped many of his patients to achieve a more luminescent smile. Dr. Mathew is a highly trained and experienced cosmetic dentist who has experienced first-hand what an amazing difference tooth whitening can make in an individual’s looks and confidence. Once Dr. Mathew has worked his magic and restored the brightness of your teeth, he can custom fit you for a whitening gel tray quickly and easily during your initial visit so you can continue treatments at home to maintain your pearly whites. Browse our Smile Gallery to see the results real patients have achieved with tooth whitening at Artisan Dentistry. Don’t let dull, dingy teeth hold you back from everything you deserve in life. 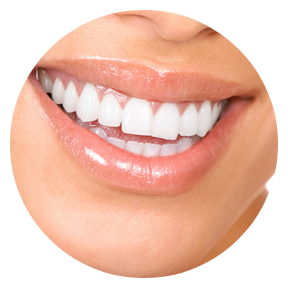 Professional teeth whitening at Artisan Dentistry in Salem, NH and Newburyport, MA is quick, safe, painless and affordable. Please contact us today and enjoy a more beautiful smile tomorrow! If your teeth aren't as bright and white as you'd like them to be, it may be time to consider professional tooth whitening to rejuvenate your smile.